This series of dances were commissioned by The Empty Bottle Presents + Jane Beachy for performance party FALL BALL, and took place at The Logan Square Auditorium in 2013 + 2014. 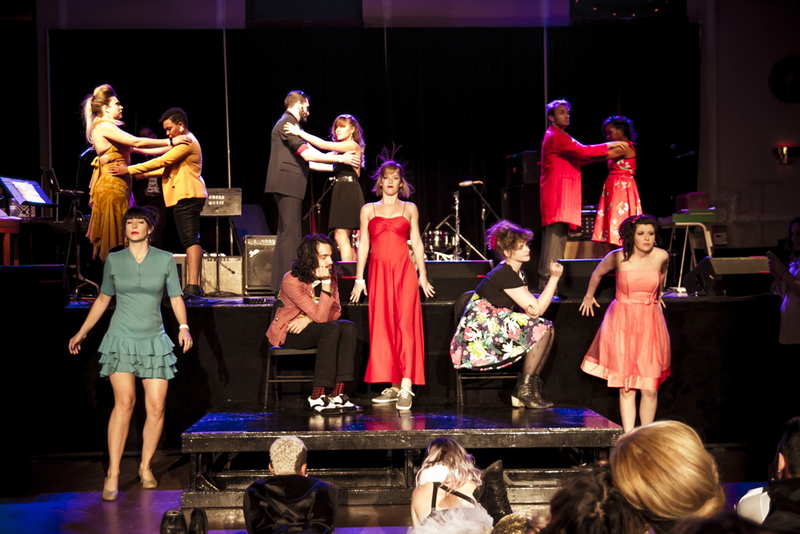 Both works were created through free, public workshops held on the dance floors of the Empty Bottle + Beauty Bar Chicago and with a community ensemble of 30+ professional, practicing, retired, and novice performers who took over the dance floor, bandstand and balcony of a vintage ballroom. 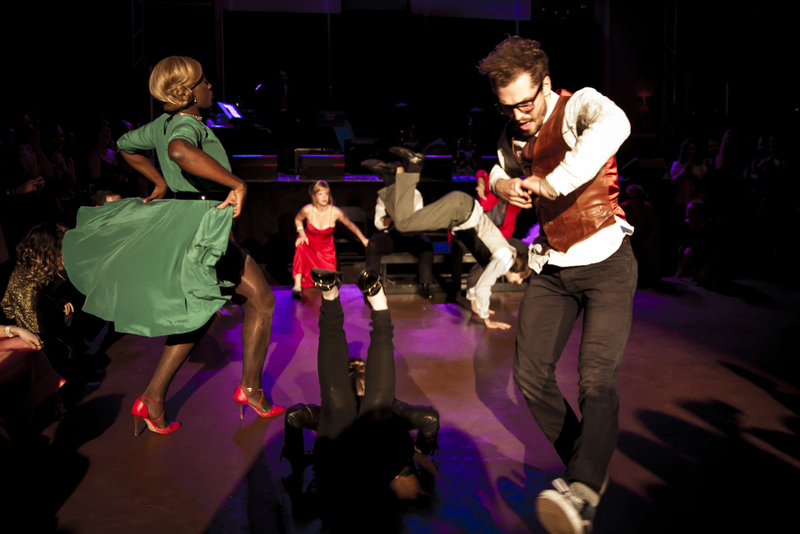 They are a bizarre-prom-disco-ball-soul-train-dance-marathon community performance piece inspired by party culture. These piece are an excersize in celebrating the ever-awkward and joyfully contagious experience of gracelessly, public social dancing.